We are doing a CSA from Fresh Fork again this year. Ohio strawberries (!! 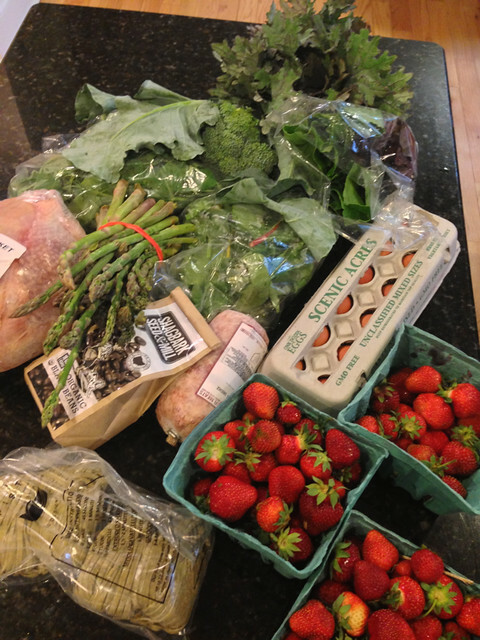 ), chicken, sausage, kale, pea tendrils, ramp pasta, swiss chard, eggs, broccoli…. Wow, your strawberries look amazing!